As cell phones and tablets become more and more advanced the ability to scan documents with them is becoming extremely handy for a landman. At Peak Land Services we like to get a second pair of eyes on any language that is remotely ambiguous or that could be interpreted in multiple ways. Whether it is one of our trusted attorneys or senior landmen, we always ask the question in order to ensure accuracy of our mineral and leasehold title. We use scanning apps in the courthouse in order to image documents and share those documents instantly. This saves our clients’ money on copies, and also increases the rate at which we can get an opinion on the language and continue with the chain of title. 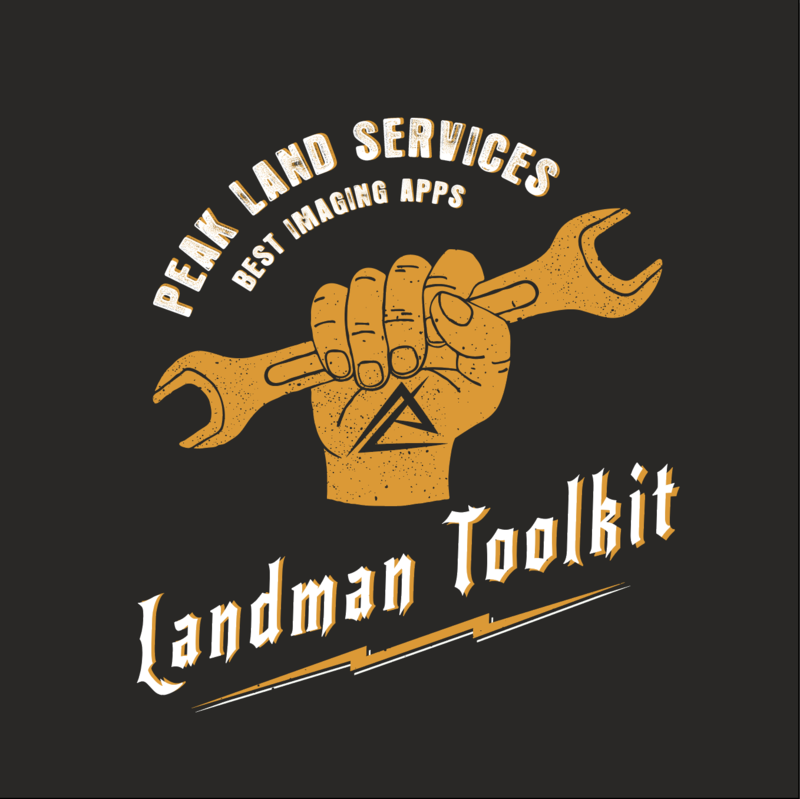 We asked the team at Peak Land Services which app they find the most useful. Below are a few of our favorite landman-approved apps! Available for all smartphone devices, CamScanner scans and converts any document into a PDF and performs OCR (Optical Character Recognition) on your scanned documents to lift out important information like prices, dates, titles, and details. All of your scanned files are neatly organized for later use. CamScanner can also auto-crop and “enhance” scanned images, like sketches and drawings. In addition, the app has the ability to annotate your scans with notes or highlighting and save your documents to an iCloud for easy access. Additional Services: A $5/month or $50/year premium account gets you additional features like more iCloud storage space, editable OCR, auto syncing to other iCloud services like Box, Dropbox, and Google Drive, and password protection for your shared PDF documents. For those who are die-hard Evernote users, the iOS-only app Scannable allows you to instantly scan business cards, sketches, receipts, paper documents, and even multi-page documents with ease. Scannable will automatically file and organize the resulting images and files in your Evernote account. Scans are cropped to remove backgrounds, and the contact information scanned from a business card is lifted making it easier to contact your network. While still relatively new, it works best with the Evernote app. It does allow the user to share your scans with other apps so you can save it in your Dropbox, email it, or save to your camera roll. With Scannable there are no additional services, no paid features, and no premium version. This app is free and a great option for any landman’s toolkit. Evernote allows you to sync your notes across two devices, as well as using the web app. Evernote handles storage space by giving its users a per-month limit for new uploads that resets at the top of each month. Free account holders get 60MB of space per month, while paid users get 1GB of space per month. The most impressive feature is that Evernote searches for text in images. For example, if you take a photo of a whiteboard and upload it to your Evernote account, every word becomes searchable. Additional Services: A premium version costs $5/month or $45/year, and includes features like searching inside PDFs and attachments in your notes, and a monthly note capacity of 1GB. At Peak we never change the way we do landwork, it’s got to be done by the book! But, by utilizing technology we believe that we can increase the efficiency and accuracy of our output. Decrease your costs, increase the efficiency of your title crew, and get more results with Peak Land Services! If you want to learn more, contact us today.